Register below for a tour of this stunning development created in the grounds of Saltmarshe Castle, a former country house and estate. There will be several showhomes available and a special £5,000 event discount for reservations made by the end of April (Terms apply). YOUR PARK HOME IS YOUR CASTLE! Saltmarshe Castle Park by Wyldecrest is positioned in a unique and historic location, making this recommended new development such a treasure! The gated luxury residential development actually sits within the walls of a real castle, with turrets and ancient walls still in place. Nestled in rural Herefordshire, park residents can enjoy access to the park-owned country estate with beautiful countryside views across the Malvern Hills. There are currently 6 showhomes available on park, all ready for immediate occupation and viewing, with more coming soon. 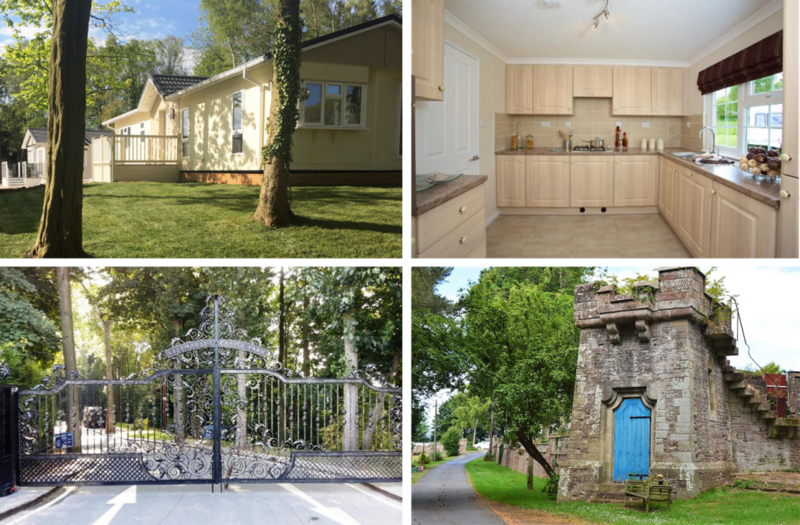 Should you wish to choose and bespoke your own park home then there are a limited number of plots available. Visitors to this open event qualify to receive a special £5,000 discount on homes reserved by the end of April. Ask for details when you attend the open weekend. Let Quickmove arrange your viewing of this incredible new development, including the stunning facilities and new showhome models available to view and buy. As well as reserving your VIP park viewing, Quickmove can negotiate the best deal on your behalf with the park operator and even secure your new home using property part-exchange.